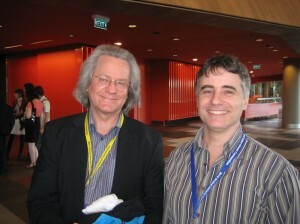 Posted in Uncategorized and tagged Atheism, global atheist convention, melbourne. Fantastic article, Chrys! Congratulations on your achievements – enviable to say the least. I was at the convention myself and, although you had a few more meet-and-greet stories than me, I can vouch for you having captured the vibe very well in your writings. I live vicariously through your words and pictures. Particularly the one where Vicki has her hand on Warren’s arse. But seriously, thank you so much for walking me through your time at the convention – it broke my heart to sell my ticket and you have gone some way to mending it.